Raga-chamber-jazz? It's true. As further evidence of the shrunken global village this album, sitarist-composer Neel Murgai's first as a bandleader redefines the meaning of global dialogue. This is not the exotic fusion of your neighborhood deli but New Music that transcends the ancient future traditional. Rooted in North Indian classical styles, his music is inspired by a multitude of sources: raga, jazz, minimalism, free improvisation, Mongolian throat singing and Eastern European gypsy. Featuring downtown improv wizard Mat Maneri on viola, Sameer Gupta (Supplicants, Marc Cary's Focus Trio) on tabla and Greg Heffernan (Paradox trio) on cello, this quartet is a perfect balance of sounds and styles. The delicate nuances of sitar and tabla are complemented by viola and cello to produce a stringy texture of radiant buoyancy. Neel's fresh compositions blend seamlessly with his new takes and adaptations of traditional material, but the music comes to life in the dynamic improvisation of the ensemble. They lend gravity to the moment as we are transported to higher realms. Their interaction is the real global dialogue, a spontaneous raga-chamber jazz. If you ever loved the Mahavishnu Orchestra or Rudresh Mahanthappa's Indo-Pak Coalition you'll need to hear the Neel Murgai Ensemble. "...Murgai joins a growing tribe of Asians who are slowly but steadily adding Desi vibes to the music lexicon. It is their sounds that give us a glimpse of what a global village carnival might sound like." Compositions that are improvised during performance show influence of Indian music and jazz with Murgai on sitar, daf, and throat singing plus Mat Maneri on viola, Sameer Gupta on tabla and Greg Heffernan on cello. Lush sonority and radiance, nice beats at times with dramatic buildup that is characteristic of a raga. Unusual and accessible, a global village you can hear. 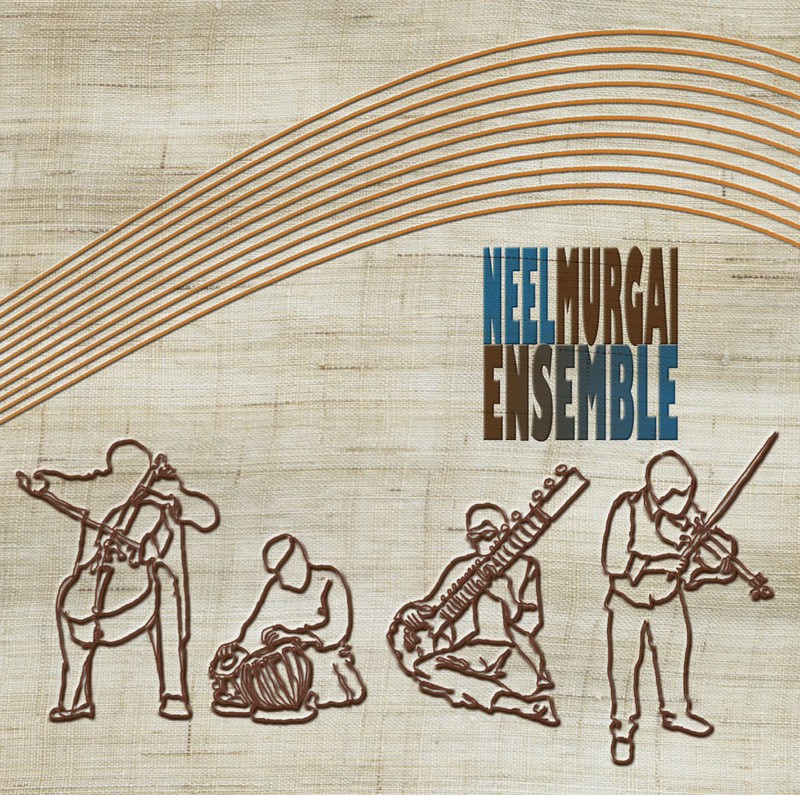 The Neel Murgai Ensemble, is about to drop on Innova, which features an intriguing blend of instrumentation. The artfully composed sounds of the sitar and tabla, some vocals, along with viola, cello, and daf, comprise the album's eight songs. While the opening "Charukeshi Monday" is innately traditional, "Brooklyn Ki Bhairavi" is a gorgeous mixing of those aforementioned instruments in a very innovative context (though it too is based on the popular rag Bhairavi.) All of Murgai's songs are in someway influenced by pre-existing compositions, though not only Indian: "Coi Umeed" is an Eastern European gypsy song that he first heard while watching the incredible documentary, Latcho Drom. True, even gypsy song can be traced back to India, but we all have our history. Murgai is introducing his to bright new vistas. On this nearly 70 minutes long CD we hear different examples of an approach of how to combine western chamber orchestra with Indian classical music ideas. You can hear how some of it comes forward from improvisation, but there are well composed combinations too. “Space Twang” for instance is in a light classical style like with a medieval dance music theme while incorporating an improvisation like in a raga. “Charukeshi Monday” on the other hand makes the chamber instrument elaborate in a more Indian way of improvisation, mixed with a feeling for classical harmonies, just the other way around, a respectful interaction of instruments and music styles. Elsewhere, like on “Evening in a: raga yaman” for instance the double bass takes jazzy rhythmical leads, an incorporated element within a raga structure. On “Panchatantra” rhythmical-melodious jazz elements are mixed with sitar, Indian styled viola and such. Also interesting is a different version, interpretation and improvisation on what is stated as being a popular traditional tune made known by Ali Akhbar Khan with Ravi Shankar, but I think I have heard it elsewhere too, on “Brooklyn Ki Bhairava”. There is also one classical raga on sitar and tabla only included. The closing track is different, an improvisation starting with Tuvan singing, droning cello and daf/tabla improvisations, while cello and viola make a melodic dance with the musical themes. An enjoyable album with some musically inspiring ideas for a different sort of fusion. Neel Murgai Ensemble has certainly stepped off the beaten path with this recording, and yet it treads more ancient and modern paths at the same time in the process. Sumptuously wrought, Neel Murgai Ensemble is exotically masterful. Breaking wide open Indian ragas, dipping fingers into the riches of gypsy music, exploring original compositions and drawing forth the intricacies of minimalist music, sitar and daf musician Neel Murgai, viola musician Mat Maneri, tabla player Sameer Gupta and cellist Greg Heffernan seek out and find “the ancient future traditional.” The end result is hypnotically stunning.